One of our leading customers in the Lausanne area is looking for an experienced Machine Learning Engineer to join their AI team. This business works with a range of companies to help create highly productive digital workplaces. Through a unique combination of real-time analytics they greatly improve digital employee experience. In this role, you would be responsible for exploring and prototyping new product features as well as solving a range of machine learning engineering problems. You would be managing the process of releasing an AI-driven product feature as well as developing and expanding the codebase for AI experiments in Python. My customer is ideally looking for someone who has strong experience in applied machine learning in Big Data environments. You would need to have a good programming background in Python with Java or C++ being an advantage. Strong experience with time-series analysis and modern machine learning stacks in Python (scikit, keras or pytorch) is also needed. Any experience or knowledge in cloud environments, docker or kubernetes is a big plus too. If you are interested in this role and would like to work for an innovative, growing business, please apply as soon as possible and we shall arrange a call at a suitable time to discuss further. Nexthink is a global leader in Digital Employee Experience. Our product allows enterprises to create highly productive digital workplaces for their employees by delivering optimal end-user experience. Through a unique combination of real-time analytics, automation and employee feedback across all endpoints, Nexthink helps IT teams meet the needs of the modern digital workplace. Headquartered in Switzerland, Nexthink also has offices in France, UK, Germany, Spain, UAE, Saudi Arabia, Australia and the US. Our growing team of Nexthinkers is proud to be making the digital work lives of seven million employees across 1,000 customers more productive. Thanks to our fantastic growth we are looking for new rock stars! Job Description We are looking for a Business & Data Analyst reporting to the Head of Sales Operations. This role will work closely with Sales and Marketing functions, Finance and Customer Success organization. It is a unique opportunity to join a booming Software Business environment in a role that will directly impact business agility and success. Primary Responsibilities: · Data Audit, Stewardship & Governance . Understand Nexthink’s end to end systems and processes, Identify Data reliability breach sources, and Propose fixes of Master Data Elements and transactional flows at stake. Plays as the data integrity guardian. Project Member . Drive all relevant Cross functional initiatives for new process, new system introduction as well as projects aiming at connecting Enterprise systems. Business Analyst . Review, Analyze and help steer Business reporting processes and structure; including but not limited to Marketing leads, Pipeline Waterfall, Performance KPIs (Go to market, Regional, Channel, Discounts etc…) Seniority level: Mid-Senior Level Function: Analyst Qualifications Analytical curiosity - Enjoy playing “Helicopter” Analytics and deep dive into core data source. Process & System minded. Business Savy – Understand Business processes, challenges and requirements. Passion for Business support, and extra mile mindset will be key differentiator in candidate selection. Sense of ownership, Result driven. Project Management skills and experience. Problem solving & Prioritization skills. Team player - Interpersonal communication skills. Multi tasks in fast paced environment. Understand Data Management criticality. Bachelor’s Degree in business systems, computer science, information technology, or related field. Minimum 5 years’ experience in similar role. Software industry experience a plus. CRM SFDC a must. Fluent English a must, Fluent French a plus. Strong command on Microsoft Office a must. Additional Information This is an exceptional opportunity to join a fast-growing, successful and innovative company. 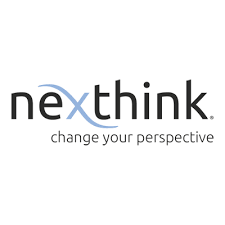 Nexthink allows you to thrive in a unique work environment where the emphasis is on excellence, innovation, openness and collaboration. TO STRENGTHEN OUR ADVISORY TEAM, we are looking for a profile with a strong sense of initiative and sensitive to the quality of the service provided to our customers to join us. In this role To serve our clients in the French-speaking part of Switzerland, you will be responsible for the following activities: a nalyze and optimize business processes s olve our customers' problems with a structured approach e licit, analyze and document business needs d esign solutions in close cooperation with our IT specialists c ontribute to the elaboration of offers and their presentation. As a member of our consulting team, you will act as an interface between the business and IT. Your interlocutors at our customers will be decision-makers, users and business experts. What we offer Attractive opportunities for personal and professional development are offered thanks to: a diversified activity to address a wide variety of issues a methodological framework according to the state of the art t eamwork that allows you to benefit from a wide range of expertise a dynamic, challenging and proactive team of 40 consultants. About your profile Your university degree in the scientific, technical or management fields is completed by: More than two years of experience in Business Analysis A structured and analytical approach to problems An interest in digital solutions and their implementation in the enterprise (ECM, BPM, CRM, ...) A taste for contact, teamwork and facilitation An entrepreneurial and open mind A certification in Business Analysis (IREB, IIBA) is a plus. You have excellent written and oral communication skills in French and English. German is a plus. If you are INTERESTED in applying for this position, please send us your complete application (CV, cover letter, letter of reference, diplomas and certificates). 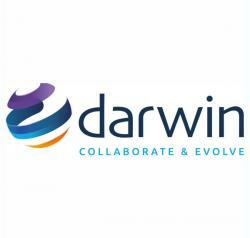 We are recruiting a Data Engineer in our Research & Development team, designated to optimize handling of increasing amounts of genomics data. Your responsibilities Develop solutions to manage genomics data: automation of data handling, traceability, and analyses Deploy and maintain the data management technology stack Develop integrative digital healthcare databases Your profile You like to code, readily see structure in big data, and enjoy applying these skill to the automation of data handling in digital healthcare. MSc or PhD degree in Computer Science or a related field Demonstrated strong Data Science or Data Engineering skills Experienced in technologies: Python or R, RDBMS (PostgreSQL or other), Bash; Java or C++ is an advantage; Experience with git workflow and CI-CD Familiarity with web-development, Business Intelligence, or Bioinformatics are an advantage Familiarity with cloud computing (AWS or other) and the Hadoop ecosystem are an advantage Fluent English (spoken and written) The Offer Young and closely interacting R&D team in a casual working environment Career opportunities in a fast-growing company with worldwide reputation International and multicultural environment Seniority: Entry level Starting date: ASAP Location: Lausanne - Switzerland Application process If you think you fit this position, please send a CV and a cover letter. Please note that incomplete applications will not be considered. After an initial screening process, candidates will be invited for remote interviews. Selected candidates will then be invited for personal interviews. 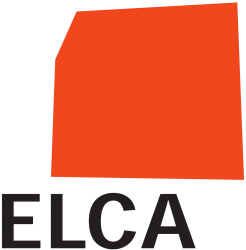 In This Role As an expert within our growing Analytics-Team you will take over the following tasks: Advisory on mandates at ELCA, inhouse and on the client side Design and conception of analytics solutions to the integration and analysis of different data files on modern data platforms (Hadoop, Spark, Kafka, Analytics Databases, Cloud) Implementation of performing data processing job by means of BigData technologies including Continuous integration & Delivery (DevOps) Operationalization of complex AI algorithms in collaboration with Data Scientists Accompaniment of projects during the whole cycle (Analysis, Design, Development and Implementation) What we offer A challenging work environment in a dynamic team with extensive expertise An organisation with flat hierarchies and collaborations across business departments Close cooperation with customers from various industries An attractive prospect for your professional and personal development About your profile For this vacancy we expect a candidate with an academic degree of a university, university of applied sciences in computer sciences, mathematics or other scientific disciplines and with several years of experience as a Developer of analytics solutions. Experience within IT- and data architecture, as well as in the area of software development Pleasure working with data- and data processing (Batch und Streaming), as well as strong interest in leading edge technologies Knowledge and practical with technologies like (Hadoop, Hive, Kafka, Spark, SAP Hana, Lucene, Elasticsearch, Splunk), Cluster & Cloud Computing (YARN, Kubernetes, Docker, Azure, AWS) and programming languages like (Java, Scala, Python, SQL) Strong communication skills in German & English Further you should be a ble to deal with clients on all levels. Further you have strong analytical skills, as well as a pleasant and structured way of working. As a strong team player, you are able to deal with internal and external stakeholders to come up with ideas and solutions. If you are INTERESTED in applying for this position, please send us your complete application (CV, cover letter, letter of reference, diplomas and certificates).